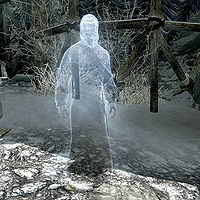 Prelate Edhelbor can be found next to the Wayshrine of Radiance in the Forgotten Vale. He wears monk robes along with a pair of boots. He carries an elven dagger. He will greet you with: "You've found the Wayshrine of Radiance, Initiate. Are you prepared to honor the mantras of Auri-El and fill your vessel with His enlightenment?" Your only response here is to say yes, and Edhelbor will then say: "May the blessings of Auri-El protect you as you climb the road to the Inner Sanctum and final enlightenment." Edhelbor will occasionally bless you with: "May Auri-El's radiance fill your heart with joy." This page was last modified on 31 August 2013, at 19:24.